My AFC Fylde away kit doesn't seem to be working. I have checked the config and everything is correct. Is anybody else's Fylde away kit not showing? I'm still playing FM2012 and now that I'm managing Bayern Munich I noticed that their shirt doesn't show in Champions League matches. Home and Away shirt shows without problem in every league game, only the CL doesn't show. In the config I have <record to="graphics/pictures/team/915/kits/third" from="915_third"/>, do I have to change this from third to international or anything else?? I downloaded that colour change file for the FM2012, is it possible that I don't have the latest version of that file so it doesn't show that shirt no matter what I do? The India Kits are not working on game. The game is displaying the default. And as well the Palmeiras home is the default. i notice India kits some wrong kits, wrong name...ill PM who made this pack and i fixed Brazil Serie A...i think because of new patch 15.3 change them! i haven't test them on FM16 because i haven't get FM16 tho. Is there a download link for the default SS Kits somewhere as I can't seem to find it? 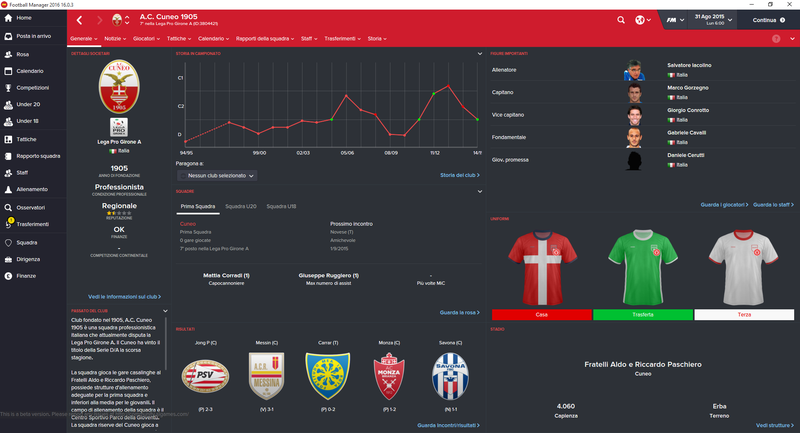 but its for FM15...i dunno if working with FM16 like Bard have problems with this tho. Thanks for the link @@hammer9 . I'll probably hold off till after full release before downloading as I just saw this post on the official forums which may explain the problems. Hi - Any idea what could be causing a dark shadow of the original FM kits to show behind the SS' kits when I download the default pack? yeah i know....Fidney will fix it asap. I got the editor up but not sure how to add Barca 3rd shirt? Should working I have test them. U sure put in right folder and reload skin and start a game! Didn't work will have to make do with just home and away.